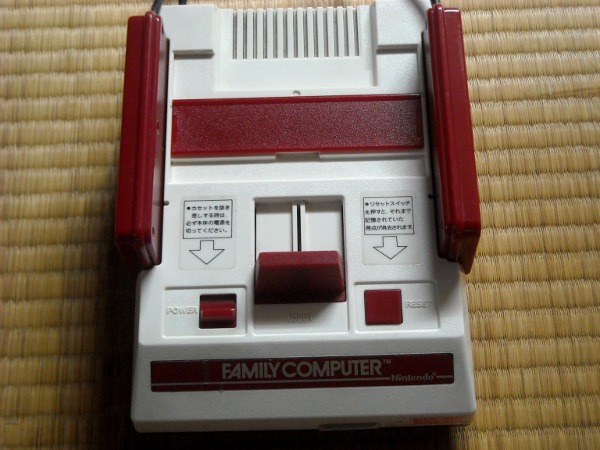 The Nintendo Family Computer, or Famicom, debuted in Japan in 1983. Sporting a Ricoh 2A03 8-bit CPU, two hard-wired controllers, one expansion slot, and games stored on ram chips inside 60-pin cartridges, the Famicom took the gaming world by storm. All this 8-bit gaming fun is wrapped in a cute red and white console complete with slots to store the controllers. 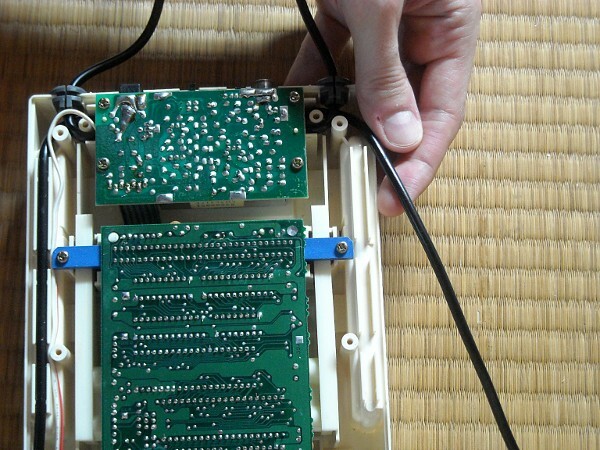 Even more amazing is the low, low power draw: the Famicom uses 4W — compare that to today’s modern consoles that use over 100W. Here, we’ll take a look inside this little piece of retro gaming history and see what makes her tick. 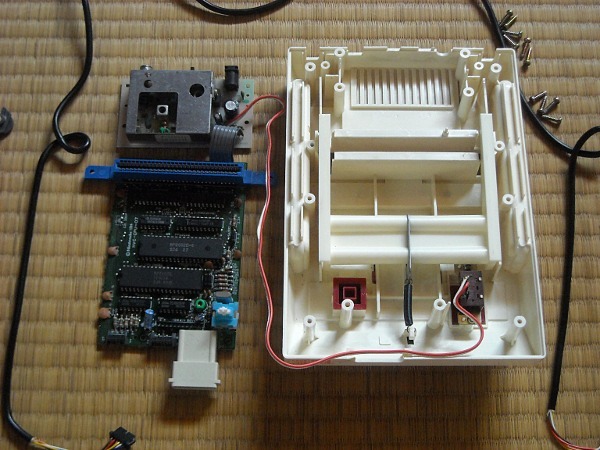 And in case you were wondering, yes, this FC unit works great, and still does after reassembly. 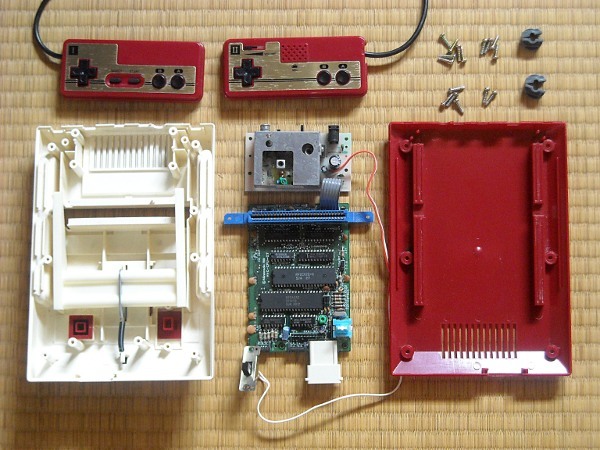 No retro-gaming hardware was destroyed in the making of this teardown! Here’s a view of the console before disassembly. Step 1. 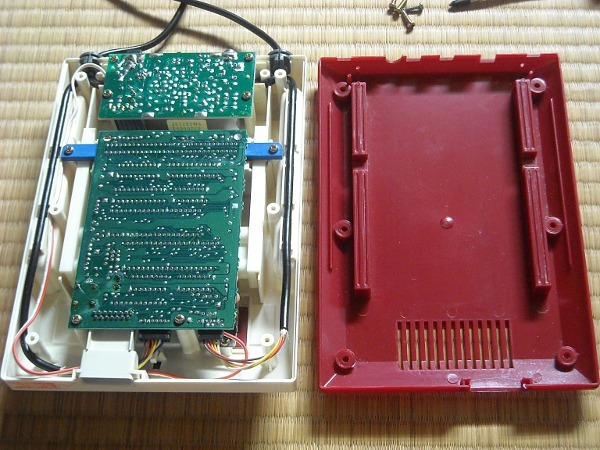 Remove the 6 screws on the bottom (red) side of the console and lift off the bottom half. Step 2. Remove the #1 controller connector. You may want to use a common-type screwdriver here to gently pry the connector loose. 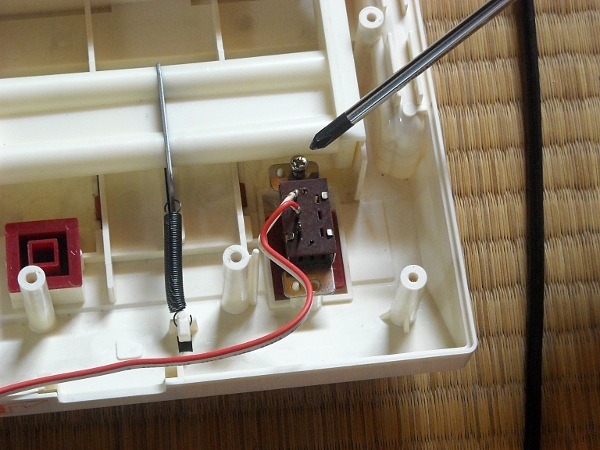 Be careful not to damage the connector housing where it is soldered to the mother board. Step 3. Now remove the #1 controller wire and grommit. Make sure to keep the plastic grommit handy because you’ll need it again for reassembly. Step 4. Remove the four screws holding the main motherboard in place. Then remove controller #2 just like we did with controller #1. Usually it’s easiest to remove the motherboard screws first so you can lift the board out of the way to get the controller wires free. Now both controllers should be free. Step 5. 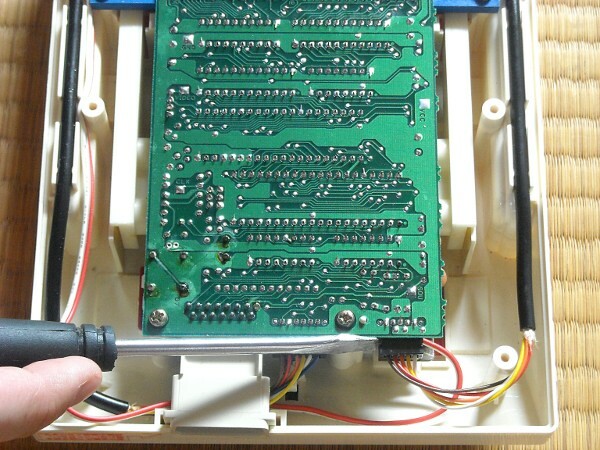 Now remove the four screws holding the top board in place. 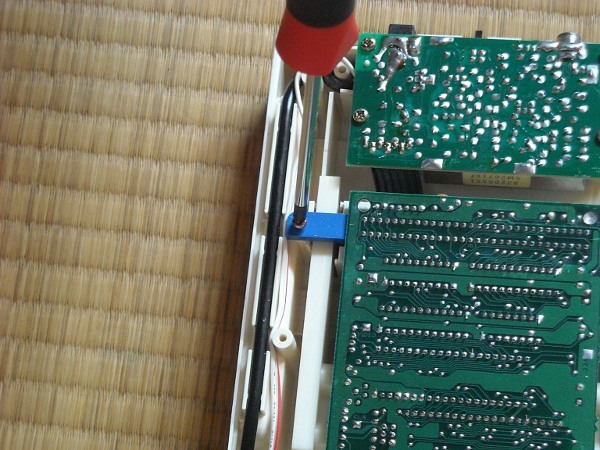 Don’t let the screwdriver accidentally damage the solder points on either board. At this point you can lift both boards off together. (They are connected by a flat cable.) The on/off switch is still connected so be careful not to pull on the wire. Step 6. Remove the two screws holding the on/off switch. Step 7. Now the motherboard should be free of the red plastic base. Here’s a picture of all of the components. 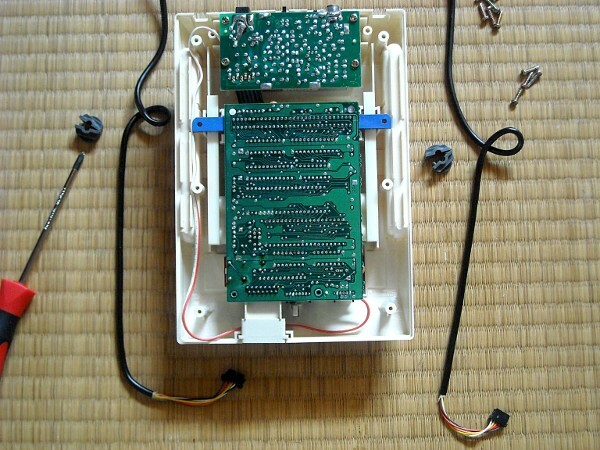 Now that you know how to take your famicom apart, you can do cool things like replace bad controllers or finally get around to cleaning out the years of dust lurking inside the case. Fom Dave at retrogamerjapan.com. 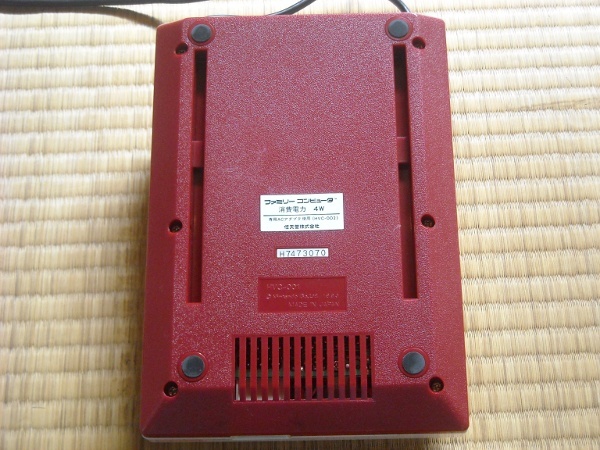 Retrogamerjapan.com sells famicom consoles and more.